This Marquise diamond is 0.5 carat in weight, and comes with Excellent polish and Very Good symmetry, as verified from an independent gemological laboratory. The diamond is graded D in colour, and has a clarity grade of IF. The diamond's GIA grading report number is 1318821002, which will detail further its specifications and measurements, and will also come with the purchase of the stone. This Marquise diamond is 0.51 carat in weight, and comes with Excellent polish and Very Good symmetry, as verified from an independent gemological laboratory. The diamond is graded E in colour, and has a clarity grade of IF. The diamond's GIA grading report number is 5276735246, which will detail further its specifications and measurements, and will also come with the purchase of the stone. AUD 11,160 Excl. Duties / Taxes. This Marquise diamond is 1.01 carat in weight, and comes with Very Good polish and Very Good symmetry, as verified from an independent gemological laboratory. The diamond is graded D in colour, and has a clarity grade of IF. The diamond's GIA grading report number is 6183799275, which will detail further its specifications and measurements, and will also come with the purchase of the stone. 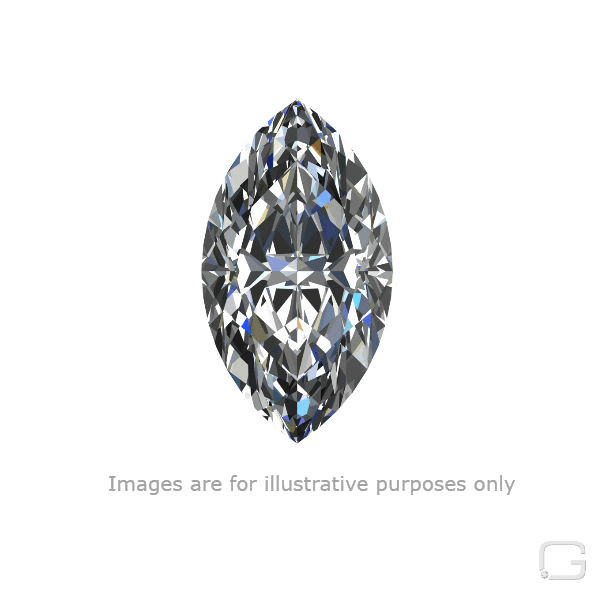 This Marquise diamond is 1.02 carat in weight, and comes with Excellent polish and Very Good symmetry, as verified from an independent gemological laboratory. The diamond is graded D in colour, and has a clarity grade of IF. The diamond's GIA grading report number is 1152754764, which will detail further its specifications and measurements, and will also come with the purchase of the stone. AUD 4,285 Excl. Duties / Taxes. This Marquise diamond is 0.75 carat in weight, and comes with Excellent polish and Very Good symmetry, as verified from an independent gemological laboratory. The diamond is graded D in colour, and has a clarity grade of IF. The diamond's GIA grading report number is 6193462869, which will detail further its specifications and measurements, and will also come with the purchase of the stone. This Marquise diamond is 0.75 carat in weight, and comes with Excellent polish and Very Good symmetry, as verified from an independent gemological laboratory. The diamond is graded G in colour, and has a clarity grade of IF. The diamond's GIA grading report number is 2191487602, which will detail further its specifications and measurements, and will also come with the purchase of the stone. This Marquise diamond is 1 carat in weight, and comes with Very Good polish and Good symmetry, as verified from an independent gemological laboratory. The diamond is graded F in colour, and has a clarity grade of IF. The diamond's GIA grading report number is 5141736401, which will detail further its specifications and measurements, and will also come with the purchase of the stone. AUD 1,285 Excl. Duties / Taxes. This Marquise diamond is 0.32 carat in weight, and comes with Very Good polish and Good symmetry, as verified from an independent gemological laboratory. The diamond is graded F in colour, and has a clarity grade of IF. The diamond's GIA grading report number is 2307473354, which will detail further its specifications and measurements, and will also come with the purchase of the stone. AUD 12,061 Excl. Duties / Taxes. This Marquise diamond is 1.09 carat in weight, and comes with Excellent polish and Very Good symmetry, as verified from an independent gemological laboratory. The diamond is graded D in colour, and has a clarity grade of IF. The diamond's GIA grading report number is 7322287813, which will detail further its specifications and measurements, and will also come with the purchase of the stone. This Marquise diamond is 0.7 carat in weight, and comes with Excellent polish and Very Good symmetry, as verified from an independent gemological laboratory. The diamond is graded G in colour, and has a clarity grade of IF. The diamond's GIA grading report number is 7288004978, which will detail further its specifications and measurements, and will also come with the purchase of the stone. This Marquise diamond is 0.75 carat in weight, and comes with Excellent polish and Very Good symmetry, as verified from an independent gemological laboratory. The diamond is graded H in colour, and has a clarity grade of IF. The diamond's GIA grading report number is 5191647159, which will detail further its specifications and measurements, and will also come with the purchase of the stone. AUD 2,898 Excl. Duties / Taxes. This Marquise diamond is 0.51 carat in weight, and comes with Excellent polish and Very Good symmetry, as verified from an independent gemological laboratory. The diamond is graded D in colour, and has a clarity grade of IF. The diamond's GIA grading report number is 1192471359, which will detail further its specifications and measurements, and will also come with the purchase of the stone. AUD 1,572 Excl. Duties / Taxes. This Marquise diamond is 0.45 carat in weight, and comes with Very Good polish and Very Good symmetry, as verified from an independent gemological laboratory. The diamond is graded H in colour, and has a clarity grade of IF. The diamond's GIA grading report number is 6315480237, which will detail further its specifications and measurements, and will also come with the purchase of the stone. AUD 22,644 Excl. Duties / Taxes. This Marquise diamond is 1.73 carat in weight, and comes with Very Good polish and Very Good symmetry, as verified from an independent gemological laboratory. The diamond is graded E in colour, and has a clarity grade of IF. The diamond's IGI grading report number is 196580837, which will detail further its specifications and measurements, and will also come with the purchase of the stone. This Marquise diamond is 0.52 carat in weight, and comes with Excellent polish and Very Good symmetry, as verified from an independent gemological laboratory. The diamond is graded I in colour, and has a clarity grade of IF. The diamond's GIA grading report number is 6322152372, which will detail further its specifications and measurements, and will also come with the purchase of the stone. This Marquise diamond is 0.5 carat in weight, and comes with Very Good polish and Very Good symmetry, as verified from an independent gemological laboratory. The diamond is graded J in colour, and has a clarity grade of IF. The diamond's GIA grading report number is 7273769689, which will detail further its specifications and measurements, and will also come with the purchase of the stone. AUD 5,382 Excl. Duties / Taxes. This Marquise diamond is 0.82 carat in weight, and comes with Excellent polish and Excellent symmetry, as verified from an independent gemological laboratory. The diamond is graded D in colour, and has a clarity grade of IF. The diamond's GIA grading report number is 2191489610, which will detail further its specifications and measurements, and will also come with the purchase of the stone. This Marquise diamond is 0.6 carat in weight, and comes with Very Good polish and Very Good symmetry, as verified from an independent gemological laboratory. The diamond is graded E in colour, and has a clarity grade of IF. The diamond's GIA grading report number is 6325352284, which will detail further its specifications and measurements, and will also come with the purchase of the stone. AUD 8,207 Excl. Duties / Taxes. This Marquise diamond is 0.9 carat in weight, and comes with Excellent polish and Excellent symmetry, as verified from an independent gemological laboratory. The diamond is graded D in colour, and has a clarity grade of IF. The diamond's GIA grading report number is 2195725473, which will detail further its specifications and measurements, and will also come with the purchase of the stone.